Subaru’s CEO said Trump’s tariff could have a “big impact” on business. 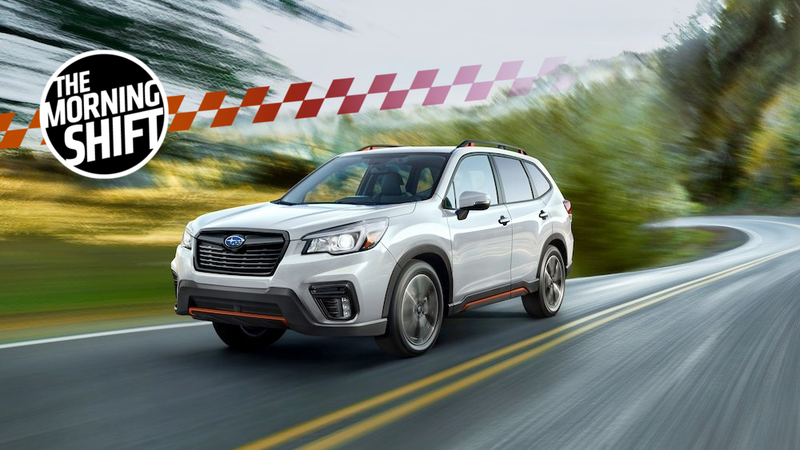 Subaru’s problem with Trump’s proposed tariff, the quagmire presented by the government’s new emissions plan, NAFTA, and more in The Morning Shift for Monday, Aug. 6, 2018. With President Donald Trump’s Commerce Department weighing a 25 percent auto tariff on imported vehicles, it hasn’t been a good few weeks for any business that makes a living doing, uh, anything related to cars. Among the whole brigade of carmakers, it’s likely Subaru could feel the heat the most. The Japanese automaker’s U.S. sales slid 14 percent in the second quarter of 2018, Bloomberg reports, and about half of its cars sold in the U.S. this year have been imported by Japan—a whole lot of cars potentially subjected to the theoretical tariff. All of this, you’ll recall, is being weighed by the commerce department as part of an investigation into whether passenger vehicles threaten U.S. national security. So, whatever happens, at the very least Subaru can rest easy knowing definitively whether an Outback or Forester poses any sort of risk to us all. The other major auto policy proposal kicking around is Trump’s plan to rollback fuel economy and tailpipe emission standards set by his predecessor. The president’s plan would ease vehicle-emission mandates for automakers, something they’d been after ever since Trump took office. But Trump’s plan offers something funny, as Bloomberg points out. While easing emission standards, it’s also seeking to make it harder to comply with emission standards. Neat. The Trump administration’s plan to ease vehicle-emission mandates lifts some burdens for automakers but also would strip away options that have made it easier for them to comply and have encouraged the development of electric cars. Under so-called “flexibilities” in the government’s current fuel-economy program, companies have the freedom to average fuel economy across their entire fleet. This enables them to offset gas-guzzlers by selling electric vehicles and other super-efficient autos. They also get credit for technologies that make cars more fuel efficient but don’t necessarily show up in tailpipe readings. From the vantage of car manufacturers, ditching the “flexibilities” thing would screw up efforts to develop new technologies. So, Bloomberg notes, both major lobby groups for the industry told Trump to maintain “flexible compliance pathways that pave the way for research and deployment in advanced fuel-saving technologies” as the administration rewrites the vehicle requirements. Trump’s proposal would freeze fuel economy and tailpipe emission requirements at levels for the year 2020, with the average fuel economy set at 37 mpg, well short of previous standards set for 2025. The gig economy—a catchy phrase to describe a fleet of independent contractors who put in what certainly appears to be full-time work without any benefits typically afforded to full-time employees, all the while making CEOs of companies who employ those contractors very wealthy—is about to face a serious problem in California. A ruling from the California Supreme Court in April determined that most contract workers for startups like ride-hailing companies Uber and Lyft could actually be employees under the state’s wage laws. Naturally, those companies are doing whatever they can to prevent the ruling from having any sort of impact, reports Bloomberg. That presents a squeamish position for Uber and Lyft: Neither actually makes money on their rides, and the notion of having to pay benefits to the tens of thousands of drivers who grind daily for them could upend their business model. The business leaders are pushing to blunt the ruling’s impact, either through legislation or through executive action by the governor — moves that would reverberate across the national debate over the rights and roles of workers in the modern gig economy, and what Democrats’ posture toward tech companies should be. “The magnitude of this issue requires urgent leadership,” nine companies wrote in a July 23 letter reviewed by Bloomberg, which warns of the ruling “stifling innovation and threatening the livelihoods of millions of working Californians” and says that without political intervention it will “decimate businesses.” The letter was sent on behalf of Uber Technologies Inc., Lyft Inc., Instacart Inc., DoorDash Inc., Postmates Inc., TaskRabbit Inc., Square Inc., Total System Services Inc. and Handy Technologies Inc. It was addressed to the governor’s secretary of labor and cabinet secretary. No one commented to Bloomberg about the letter, including the governor’s office, but this’ll be one to watch. Trump’s trifecta of auto policy efforts includes a massive renegotiation of the North American Free Trade Agreement, which has been ongoing since the Dawn of Man. Canada, in particular, seems ready for talks to wrap up, reports Reuters. Canada is “very keen” on concluding negotiations to renew the North American Free Trade Agreement as soon as possible, Foreign Minister Chrystia Freeland said on Saturday, amid signs of progress after months of delays. Though Freeland said she’s looking to move things along, Reuters said she didn’t answer directly about whether the end of August represents a realistic deadline. I’ll assume the answer is no. Everyone knew 2018 was going to be a slower year for the auto industry, after a record setting sales trend that continued several years running. Steering away from price skirmishes, companies are maintaining production discipline and leaner inventories that better reflect a 70/30 split of light-truck sales to cars. And they have shown a noticeable reluctance to chase market share with costly incentives. Automakers tempered incentive outlays in July, snapping a streak of monthly increases in average discounts that began nearly five years ago, according to J.D. Power. Buried down the story is a passing reference to “affordability” becoming a growing concern for sales, but I’m sure that’s nothing to worry about. Neutral: Are You Worried for Subaru? I honestly wonder if Trump’s commerce department is just going through the motions of hearing comments about the proposed 25 percent tariff just as a formality. No one in the industry’s excited for this. Are you?